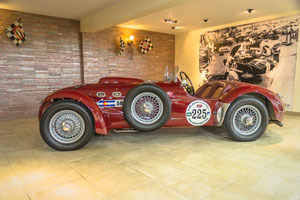 The J2X was the penultimate creation of the Allard Motor Company’s family of vehicles built between 1936 and 1964 (and arguably its most successful). Founded in 1936 by Sydney Allard, the company produced some 1,900 automobiles. These included hill climbers, sprint cars, sedans, racing cars and even dragsters. Sydney Allard was the consummate racer. His cars enjoyed a solid reputation as serious contenders at Le Mans, Monte Carlo, Watkins Glen, Silverstone, Pebble Beach, Goodwood, as well as countless other tracks throughout Europe and North America. The legendary J2X was a limited production competition roadster, with only 83 produced between 1951 and 1954. Approximately 60 still exist today. Allard Motor Company never produced its own engines, rather it successfully integrated existing American V-8 power plants into its cars to great effect. Some factory Allard J2Xs were equipped with a Ford-Mercury flathead, or more commonly, the 331 cu. in. Cadillac / Chrysler 331 Hemi Firepower that made its racing success legendary. At the rear, the J2X’s sported a unique deDion differential, and an innovative independent suspension, well ahead of its time. We at RaceKraft & Design always love a good party, especially when cars and good people are involved! We routinely sponsor open houses for the local car and racing clubs that we support and race with. Make sure to try and make one of our events soon! IMSA GTP was an American sports car racing series organized by John Bishop, and his International Motor Sports Association from 1981 to 1992. It was a follow up series to the successful IMSA GT Series of the late 70’s that featured such automotive icons as the Porsche 911RSR, the 935 Turbo, and the Chevy Corvette. The GTP cars were of course prototype cars fashioned to go up against the FIA Group C cars of Le Mans, and the World Endurance Championship, but without the fuel restrictions. Many such cars actually competed in both series, and were driven by such legends as Derek Bell, Hurley Haywood, Al Holbert, and Brian Redman. The F-40 was the last Ferrari personally approved by Enzo Ferrari. At the time it was the fastest, most powerful, and most expensive car that Ferrari sold to the public. New photos from our Track Day with the Falci Corvette. These photos were taken August 1, 2013. This was our first time on the track with the car, and everyone was truly pumped to see what it would do. The car lived up to expectations, and a good time was had by all. 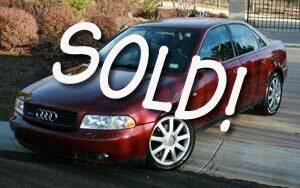 For more information about the build and the car, feel free to give us a ring. We just found another treasure trove of photos from the build of the Falci C5 Corvette in July 2013. Enjoy this behind the scenes look at how we did it! By popular demand, we’re pleased to share some photos of exactly what Mike saw on the first day. The entire build team is pumped. 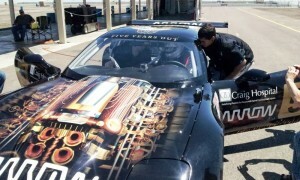 On July 30th, the Falci Motorsport C5 Corvette hit the track with Mike Bauer in the driver’s seat. 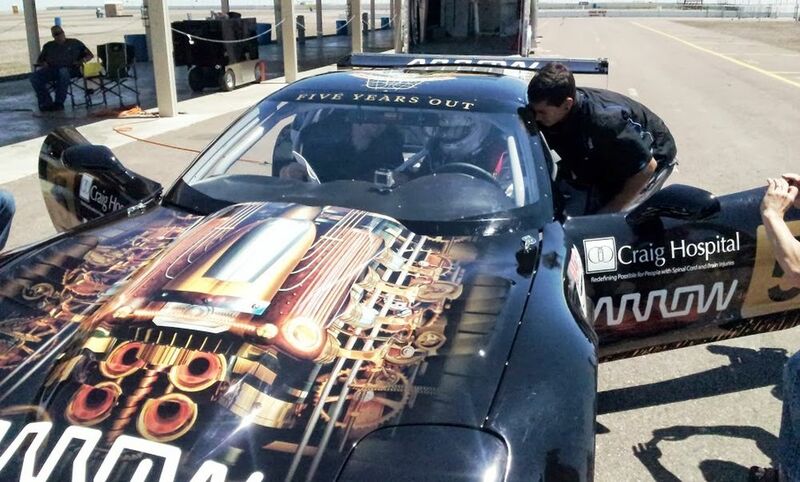 The car is one of the world’s first examples of adaptive sports technology applied to motorsport. 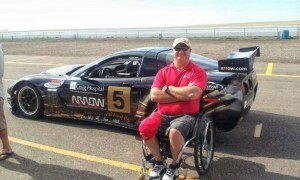 The plan is for Mike and the car to travel the country promoting spinal cord injury research. Since it first turned a wheel in anger, the Chevrolet Corvette has remained America’s true sports car, and was destined to become an undisputed icon of American Road Racing. For more than 5 decades, this car has delivered its drivers to the Winners Circle more often than any other American design. 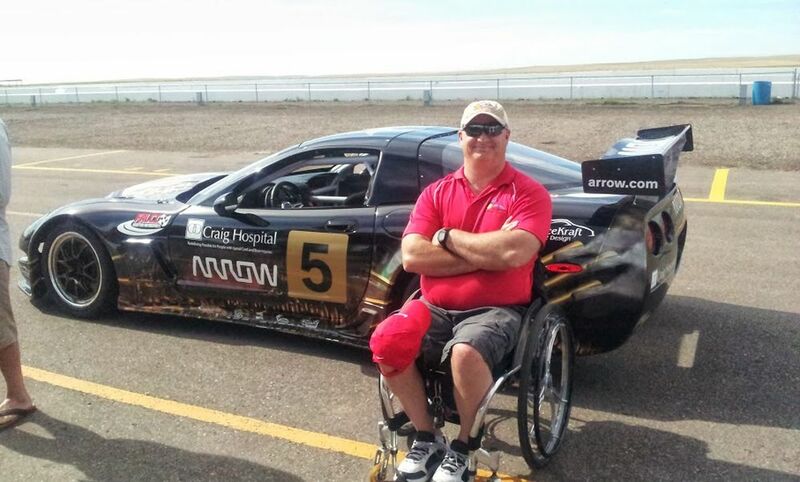 With that pedigree, it is only fitting that the Corvette was chosen by RaceKraft&Design as the ideal platform to develop an adapted race car for the mobility impaired driver.